President Donald Trump came to the defense of Sinclair Broadcast Group on Monday by tweeting that it was "far superior" to NBC and CNN. What prompted this tweet: CNN reported that the network was forcing conservative, pro-Trump editorials on its reporters, and Deadspin created a video of Sinclair broadcasters spurning "fake news" over the weekend. 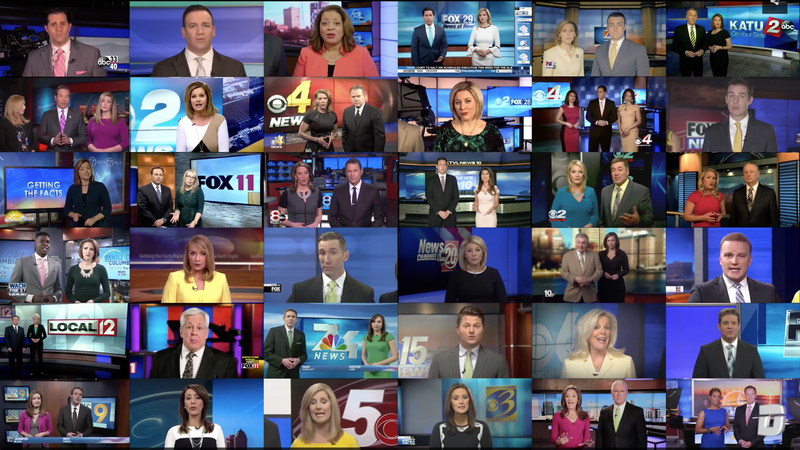 Go deeper: Ina Fried has more details on the video and Sinclair in her Login newsletter.